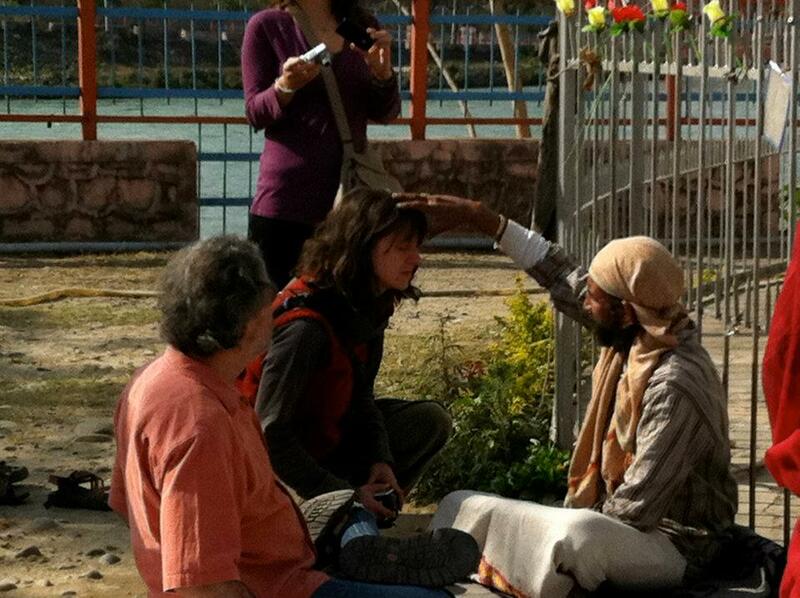 In 2012, I traveled to Northern India with Valerie Midgett and a beautiful group of Yogis. We had a lovely journey and amazing hosts. It was a life changing trip that illuminated the depth of devotion from which the practices that we explore were derived. My experience spoke directly to my soul, with synchronicities that could only be explained as divine encounter at every turn. The trip was also full of challenges and unexpected obstacles. I ended up at the Ashram of my teacher’s, teacher’s, teacher. I was guided to meet an Indian teacher back in the states, and I felt the love and support of the Divine Mother in a visceral and surreal way. It took me years to fully assimilate the experiences that India offered me, and now I am ready to go back, to carry forward the things I’ve learned, and to share these possibilities with others who are ripe and ready. I’ve waited for six years to find the right way to return, as a devotee, a teacher, and a humble guest. The time has come. With the joyful support of Swathy Madhukar and her family, we will be journeying back to India in January 2020. This time we will be exploring the South on a pilgrimage of culture and spirit. I hope you will consider joining this pilgrimage. Swathy Madhukar is excited to take you with her to India. She combines her love for traveling & spiritual seeking to this opportunity of being able to share her cultural heritage with you. Swathy was born in Southern India and was introduced to yoga and mindfulness by her father at a young age. Growing up, watching her grandmother practice Karma and Bhakti yoga has influenced her to serve with compassion and lead with devotion. She believes that the practice of yoga should transcend the mat into everyday living. In 2015, she moved from Southern India to Sacramento bringing her practice of classical Hatha yoga with her. Moving to a different culture and way of life not only made her appreciate the differences but dig deeper to understand her own culture and ways of life back home. She is an RYT 500 hour Trauma-Informed yoga teacher and through The Yoga Seed Collective goes into psychiatric facilities to bring yoga to mental health patients and also teaches workshops and studio classes. She also volunteer teaches yoga to homeless guests at Loaves and Fishes. When she is not teaching she is cooking, spending time in nature or singing lullabies to her cat in her favorite Indian language, Kannada. More details about this trip will be added in the weeks and months to come. For now it’s important to know that in order to keep this trip as culturally sensitive as possible, we will be limiting the number of participants. If you are truly interested in participating, I encourage you to complete the application and submit the application fee below. We will be exploring the villages and sacred sites of South India. Investment: $2500-$3000 depending on payment option. Includes all in country transport services, meals, accommodations, yoga classes & entrance fees. You will be charged non-refundable application fee of $75 and your application will be sent to you after deposit is made. Details about Dates, Costs, and specific locations will be posted soon. Payment plans will be available. Sign up with your email address to receive updates about this retreat.